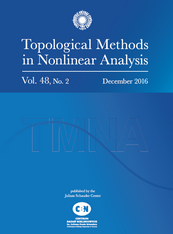 In previous works the author established a nonautonomous Conley index based on the interplay between a nonautonomous evolution operator and its skew-product formulation. In this paper, the treatment of attractor-repeller decomposition is refined. The more general concept of partially ordered Morse-decompositions is used. It is shown that, in the nonautonomous setting, these Morse-decompositions persist under small perturbations. Furthermore, a continuation property for these Morse decompositions is established. Roughly speaking, the index of every Morse-set and every connecting homomorphism continue as the nonautonomous problem, depending continuously on a parameter, changes. M.C. Carbinatto and K.P. Rybakowski, Nested sequences of index filtrations and continuation of the connection matrix, J. Differential Equations 207 (2004), 458–488.